At My Local Electrician, we understand that you rely on the electrical systems in your home throughout the year, meaning it is important to keep them running efficiently. Our expert electricians can provide maintenance, repairs, and installations in Fort Worth, Weatherford, Burleson, Granbury and Aledo Texas, to fulfill all of your electrical issues. As a locally owned and operated company, we value high-quality customer service, based on safety and professionalism. All of our Residential Electrical Contractors are fully trained and continue to develop their skills with up to date equipment and techniques to ensure that we can deal with any electrical issues you may be experiencing. A licensed Commercial Electrician, from My Local Electrician in Texas will respond to your call, no matter how big or how small the problem. Whether you need rewiring in your home, new outlets installed, or want to completely redo the lighting system in your home or business, you can rely on our electrician to deliver competent and satisfactory work that meets all of the current safety guidelines. Our Technicians will undertake electrical projects in both residential and commercial properties. The way you use your electrical systems will change throughout the year, which can put pressure on them if you do not ensure you have your electrics regularly maintained. Seasonal variations and changes in temperature can impact how often you use your lighting, heating, and cooling systems. It is recommended that you have your electric system professionally checked at least once a year to ensure they continue to work effectively and reliably during any fluctuations in use. a My Local Electrician residential electrician will be happy to answer any questions and concerns you may have and can advise you on the best ways to maintain your electrical system. If you notice any change in the way your electric system works, you can call your local electrician from My Local Electrician, who will be able to evaluate the issue and identify the source of the problem quickly and easily. We carry out repairs at a time that is convenient for you, for a reasonable and affordable price. If your electrics require any repairs, we can assure you that the work will be carried out safely by one of our certified electricians and that we will not attempt to sell you any unnecessary parts. Electrical work can be potentially dangerous, making it even more important to seek the assistance of a knowledgeable master electrician. If your home requires electrical improvements, the best course of action is to bring in the expertise of an electrical contractor from My Local Electrician. Our aim is to repair and maintain all aspects of your electrical system in order to prevent any breakdown, saving you time and money in the long term. We can also perform installations and replacements of electrical units, helping you to choose the brand and model most suitable for your home. From alarm systems and retrofitted lighting to dimmer switches and wiring, our contractors can install a variety of electrical systems in your home. Each of our electricians prides themselves on providing the highest standard of service for our customers, no matter what kind of electrical service you may need. By calling us, we can send one of our Technicians to carry out a comprehensive assessment of your electrical system and the issues you are experiencing. During this time, we can offer you a quote before beginning work, which will be safely completed as quickly as possible. The satisfaction of our customers is our number one priority, to offer you the most up to date service and methods for the convenience and safety of you and your family. 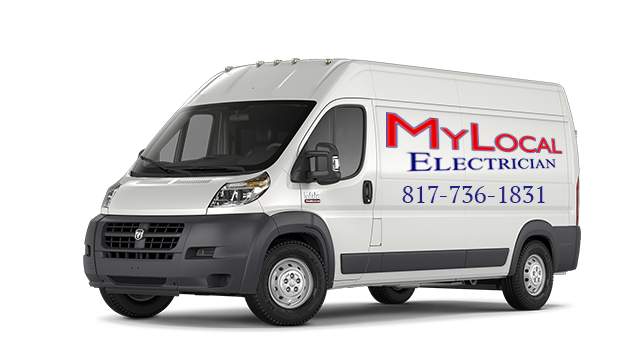 My Local Electrician is a trustworthy company that has been carrying out highly regarded electrical work in the state of Texas for over 33 years. We are recommended by our existing clients and are able to perform a range of electrical projects in your home or business property. The work of our contractors is performed to your highest satisfaction, meaning any electrical changes made to your home will be long lasting and dependable. We specialize in maintaining and repairing the electrical systems in your home safely and efficiently. If you are need of maintenance, repair, or installation in your home or commercial property in Texas, do not hesitate to callus to speak to one of our friendly and experienced electrical contractors today.